Brian Moore is a labor and employment lawyer in Dinsmore's Charleston, WV office. 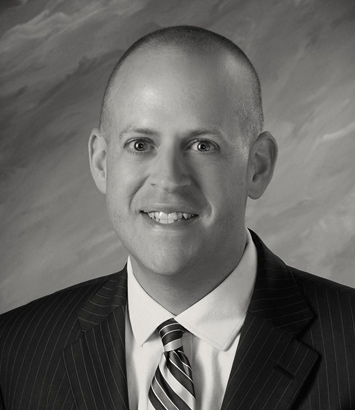 Brian represents companies in labor, employment, deliberate intent, and general litigation. His business-oriented approach enables him to guide clients through a myriad of challenges. He draws on his experience to help clients reach efficient resolutions -- or pursue litigation and trial -- as the situation warrants. Working with clients in the banking, insurance, retail, health care, energy, hospitality, and food and beverage industries, he has guided them through an array of issues, including discrimination, harassment, wage and hour, deliberate intent, unfair labor practice, union representation, injunction, and general litigation matters. Brian has substantial experience practicing in both state and federal courts, including trying cases to verdict, as well as practice before the West Virginia Human Rights Commission, the Equal Employment Opportunity Commission, and the National Labor Relations Board. He has also drafted and litigated employment and arbitration agreements, covenants not to compete, and various other contracts. He places a premium on partnering with his clients to learn their operations and culture as he builds a strategy that suits their needs. He often works closely with in-house counsel, human resources professionals, and company management, taking a proactive approach to help clients anticipate and overcome challenges before they arise. He prepares employee handbooks, conducts supervisory training, and understands the increasing role of technology and social media in the workplace. Brian is an active speaker and writer and has published a book entitled The Pocket Guide to West Virginia Law. In addition, he speaks, writes and provides training on leadership, networking, time management and other personal development topics. When he is not practicing law, speaking, or writing, Brian is an avid fitness, automobile and college football enthusiast.